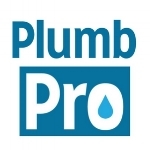 Pooler, GA Plumbers - Plumbpro is here to serve your plumbing needs in the Savannah, GA area! The premiere plumbers in Pooler, GA! At PlumbPro, our services are guaranteed. We strive to bring you only the best in customer service. From the moment you call our office to the time we've finished the job, you can be sure that your experience with us will be nothing other than satisfactory. Our mission at PlumbPro is to provide you with the highest quality experience possible when making a plumbing decision for your home or business. Whether it's an emergency situation, new installation, remodel, or basic repair, we've got you covered. We always strive to be the best plumbers in Pooler, GA.